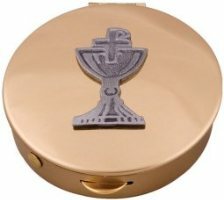 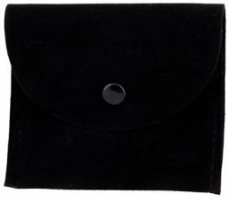 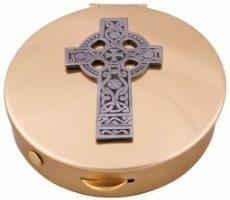 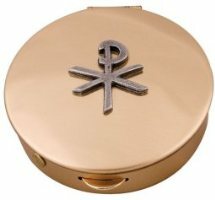 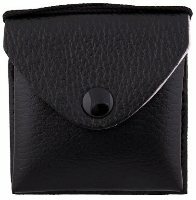 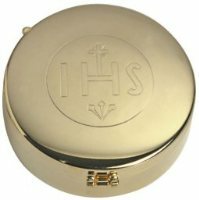 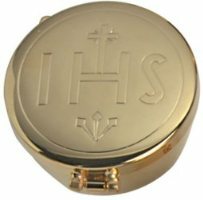 Large range of Pyxides and Pyx purses. 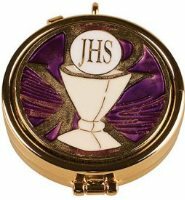 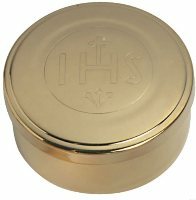 Gilt Pyx with Enamel Chalice Motif. 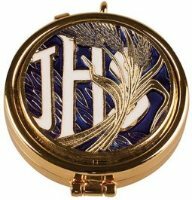 Gilt Pyx with Enamel Wheat Motif. 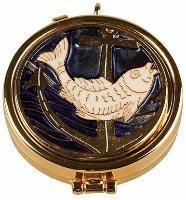 Gilt Pyx with Enamel Fish Motif. 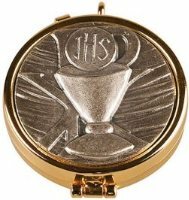 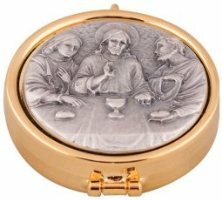 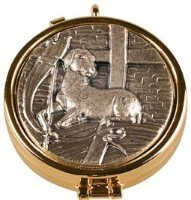 Antique Silver Last Supper Pyx.